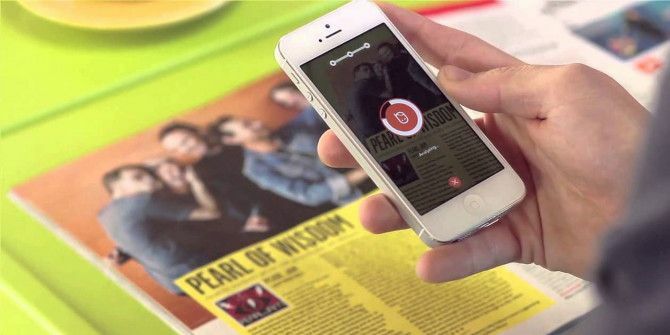 Peekster, a news content curation app for the iPhone, does for print media what Shazam does for music. It can scan the headline of a printed article and deliver it in digital form on your smartphone. Peekster [No Longer Available] was released last November in the UK, and made it to the top of the iTunes Store download list for several weeks. The app’s recent 2.1 update now expands its reach to the US, with support for the media publications, The New York Times, The WallStreet Journal, and The Washington Post. Peekster can deliver the digital version of a scanned headline of a printed article, in a supported publication, similar to how it’s done using an OCR scanner. Currently, in addition to selected US publications, other supported printed newspapers include the following UK newspapers: the Evening Standard, Metro, City A.M., The Guardian, The Independent, and The Times. Other publications and magazines will be supported soon, the developers report. If Peekster cannot locate the digital version of a scanned article, it suggests related digital content. The aim of Peekster is to bridge the gap between printed and online media. The app is geared toward largely print media readers who would like to access and archive selected articles for read-later purposes and sharing. Currently, saved articles can be shared and synced with Evernote, Pocket, Instapaper, and Readability. In addition to providing a service for readers, the developers say Peekster also provides important, and hard to get, demographic data—age, gender, device use—about users of the app. The app could eventually be used for scanning billboard ads posted by print media companies, and in turn deliver digital content to users. Peekster is an ad-supported free app, with an in-app option for the ad-free Peekster Pro version.